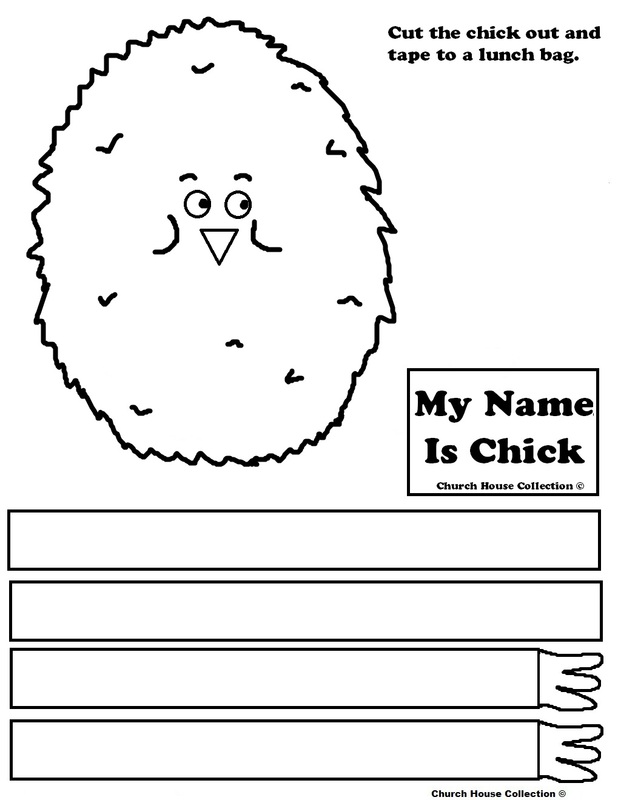 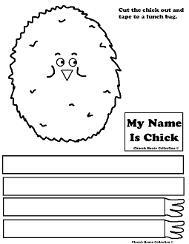 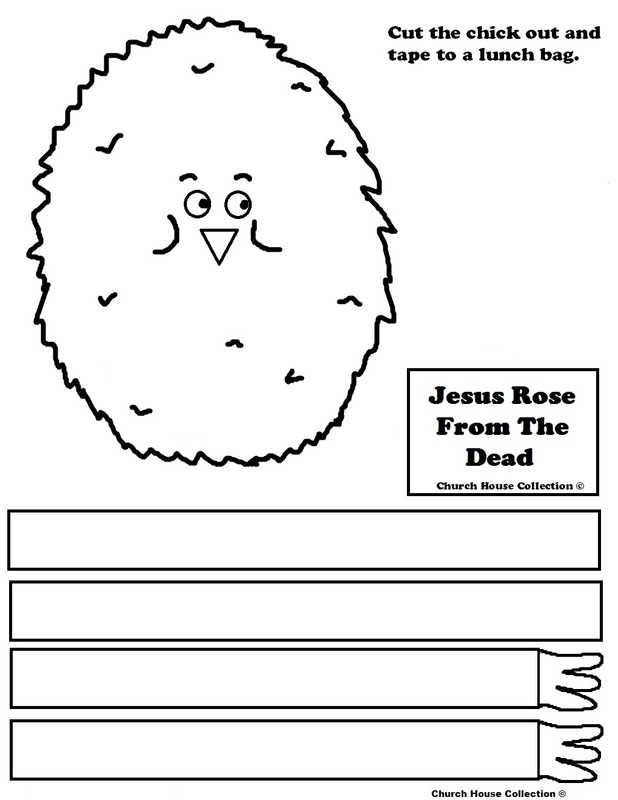 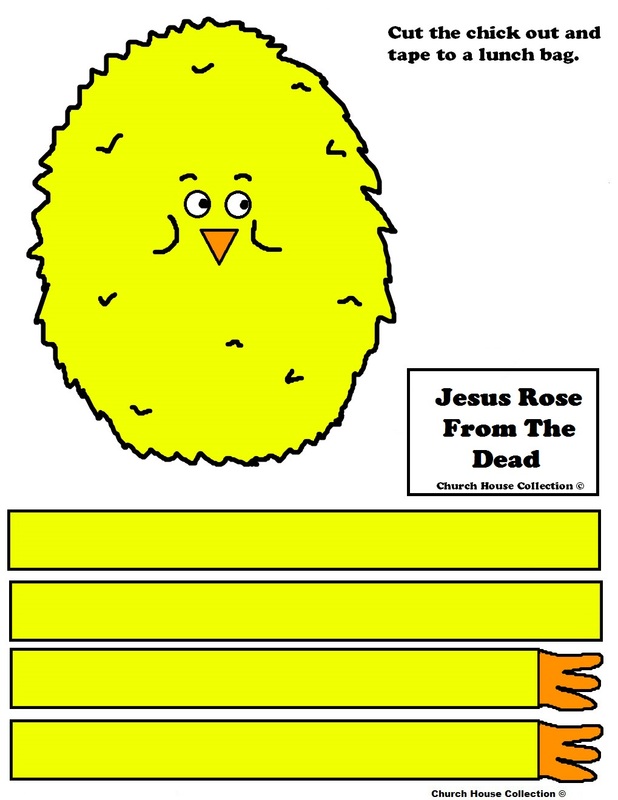 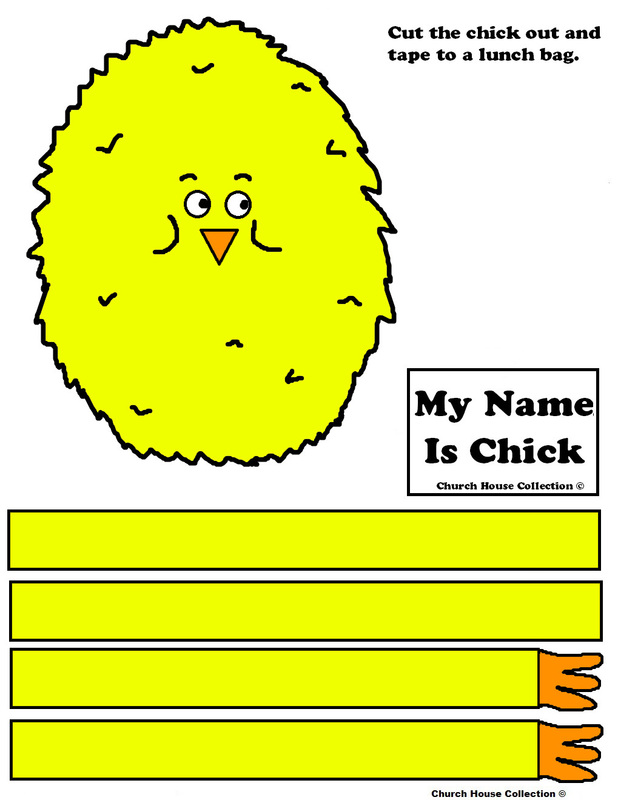 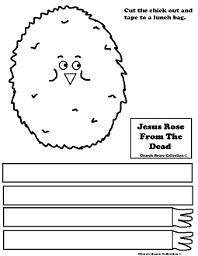 "My Name Is Chick" and "Jesus Rose From The Dead"
Just pick out which template you need below and print it. 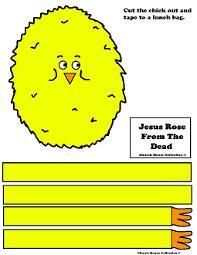 We have colored and black and white. 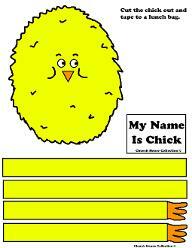 If you print the black and white out then have the child color the chick yellow and his feet and beak orange. Tape the head and arms onto a brown lunch bag. 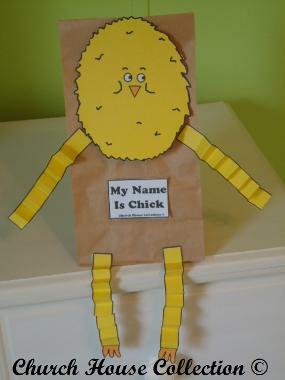 Or you could do a white lunch bag and have the kids color it yellow if you want.